Others that really deserve a mention: St. Vincent, Strange Mercy; Foster the People, Torches; Tennis, Cape Dory; Feist, Metals; Laura Marling, A Creature I Don’t Know; M83, Hurry Up, We’re Dreaming; Wye Oak, Civilian; Head and the Heart, Head and the Heart (really a 2010 release, but remastered and re-released on Sub Pop this year); Drake, Take Care; Destroyer, Kaputt. This has been a harder year for movies, with many of the best coming at the end. Mission Impossible Judge if you will. This movie, perhaps more than any of the other MI movies, knew what it was, embraced it, and was slickly made – making it a lot of fun. When it was ridiculous, I laughed with, rather than laughing at or cringing. Solid brain candy movie. Movies I still want to see: Tintin, The Descendants. For reading this year, I really enjoyed Sherry Turkle’s Alone Together and Brian Christian’s The Most Human Human, and am looking forward to Kahneman’s Thinking Fast and Slow. I was super-happy to start reading the Song of Ice and Fire series, and immensely enjoyed HBO’s Game of Thrones adaptation. This year’s season of Breaking Bad was exceptionally good even for an overall exceptional series, as was the second season of Justified. Parks and Recreation continues to be perhaps the sweetest, funniest, consistent comedy on television. House continues to stay fresh, somehow. The BBC modern re-imagining of Sherlock is even better than House. Prime Suspect is the latest darker police procedural that I enjoy but will inevitably be canceled. I’m not doing very well at the thinking posts (I blame school and research for taking most of my intelligent thought, especially since one of my classes has a blog). Instead, I will express my joy about The Crane Wife, the Decemberists’ new album (iTunes). Contrary to what I thought when I first heard it, this album really, really good. I’ve liked the Decemberists for a while, and I like them quite a bit (I once changed a flight to stick around for their set at a music festival), so it should be no surprise that I eagerly bought their new album. 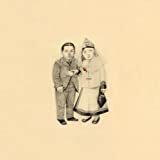 When I first played The Crane Wife, though, my first reaction was “what happened?” The album sure sounds like the Decemberists, but it’s not quite the same. I’d liken it a little bit to the Uncanny Valley: close to their other albums but different enough that it’s disconcerting. The first listen left me so confused at the shift in their sound that I had to go back and listen to Picaresque to try to figure out what was going on. After a second listen, the album began to pull me in, and I also started listening to the lyrics a bit more. The themes are pure Decemberists: love ends tragically, war comes, and happiness goes. They yet again prove that evil can be sung just as beautifully as good, and, even more disconcertingly, heartbreak can be sung with catchy energy. The back-to-back listen of Picaresque and The Crane Wife also helped the sound of the new album feel more like a natural extension of their earlier work. After a couple of weeks with the album, I’ve listened to it a good number of times. The last album that I put through such overplay after first getting it was The Swimming Hour by Andrew Bird’s Bowl of Fire. I’ve picked up many very good albums since then but none that have compelled quite the same level of serial listening. I’ll be going to see the Decemberists in Pontiac on November 7. Guster plays at UMich the same day, so it is a tough choice.